How will the rapidly growing cannabis industry benefit from IoT technology? Icicle creator and technology expert Steven Burton has some ideas about cannabis and IoT, which were featured in Cannabis Industry Journal this week. The article, “3 Ways the Cannabis Industry Can Benefit by Adopting IoT Tech,” looks at the possibilities for IoT to improve cannabis production and compliance. Burton also examines other comparable industries like wine and chocolate to show how effective IoT tech can be in the long-term for cannabis businesses. First, Burton explores agricultural applications in the wine industry, in particular E. & J. Gallo Winery, which uses smart measurement tools that are able to monitor things like soil acidity, humidity, salt concentrations, temperatures, and more in order to collect data on composition and plant health. Gallo brought in IoT sensors to seriously upgrade their irrigation practices, resulting in more uniform crops, less water waste, and more desirable grapes. 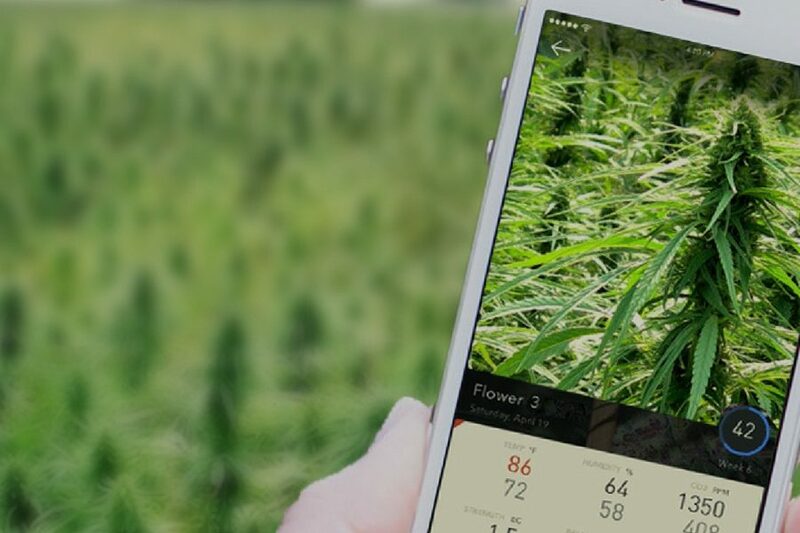 Cannabis farms are seeing the benefits; one of Canada’s leading cannabis producers, Organigram, is capitalizing on similar sensors to collect unprecedented quantities of data on their crops, showing the benefits of the cannabis and IoT partnership. Next, Burton looks to how supply chain transparency links in with cannabis and IoT tech. Transparency is critically important in a craft-industry like cannabis, where consumers are often looking for specific product characteristics. One company, MyDx, has shown how frequently cannabis products are labelled incorrectly, include fillers, or other quality issues. Of course, this problem is not restricted to cannabis; wine also has issues with fraud and quality control. IoT solutions may present options for companies looking to build consumer trust based on superior, reliable product. Considering that most food manufacturers still record measurements and create food safety plans manually, this is an area where progressive companies can quickly outpace their non-automated rivals. Whether you’re a grower, dispensary, food producer, or some other kind of cannabis professional, there’s a lot to be gained by connecting your systems and products to the Internet of Things. Which direction will you take? Finally, Burton shows how software like Icicle can help companies jump on the IoT train to food safety confidence. As the industry grows and regulations grow with it, cannabis growers must (and should) maintain a food safety plan. IoT technology has huge implications for how this can be achieved and implemented. Companies that rely on tired paper-based methods or subpar software solutions miss the opportunity to reap the rewards of IoT – for growing, traceability, food safety, and more. We are providing complimentary HACCP plans to cannabis facilities that are committed to creating and implementing a quality food safety program. Learn more and request a free HACCP plan here. Steven Burton is a technology expert who, in addition to being the CEO and President of Icicle Technologies Inc., developed and continues to build Icicle, a comprehensive food production management platform offering the food industry creative and dynamic solutions for better production, better business, and better public health. Follow him on LinkedIn to hear more about the future of tech, or check out his other articles in leading industry publications.